A survey of 10 hot, Jupiter-sized exoplanets conducted with NASA's Hubble and Spitzer space telescopes has led a team to solve a long-standing mystery — why some of these worlds seem to have less water than expected. The findings offer new insights into the wide range of planetary atmospheres in our galaxy and how planets are assembled. 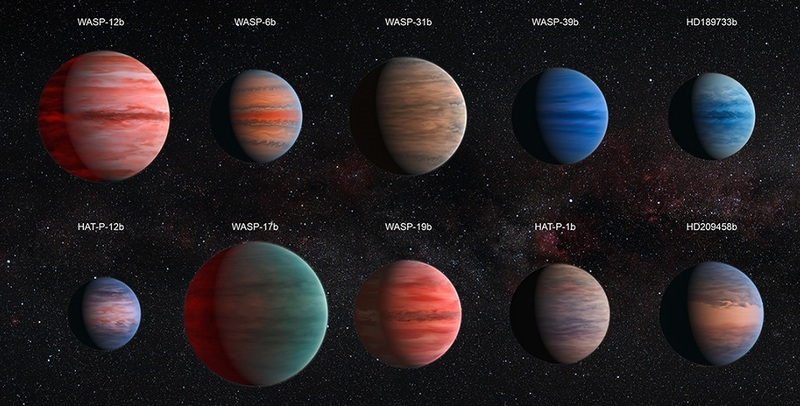 Of the nearly 2,000 planets confirmed to be orbiting other stars, a subset are gaseous planets with characteristics similar to those of Jupiter but that orbit very close to their stars, making them blistering hot.